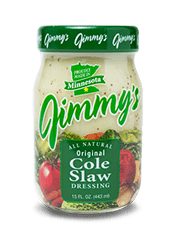 Having trouble determining how much Jimmy’s Cole Slaw Dressing you need? 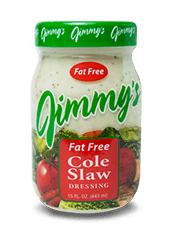 Which Jimmy’s products are Gluten Free? 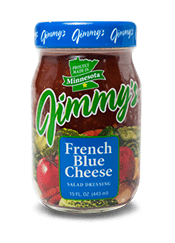 Which Jimmy’s products contain gluten? 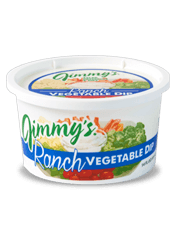 Do Jimmy’s products need to be refrigerated? 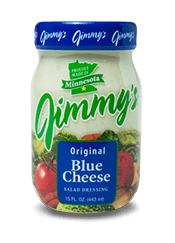 Yes, most of Jimmy’s dressings and dips must be kept refrigerated before opening. 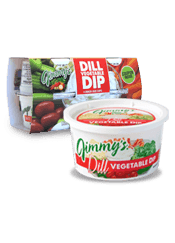 PLEASE NOTE: ALL Jimmy’s products must be refrigerated after opening. 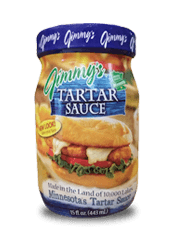 What does the EXP DATE on the jars or tub mean? 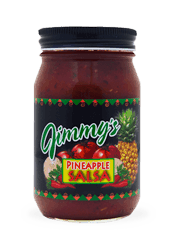 The date on our jars and tubs is a best by date. 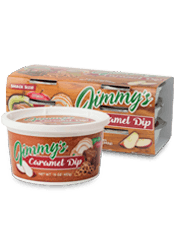 This date indicates that Jimmy’s products are best when used by the date printed the jar or tub. 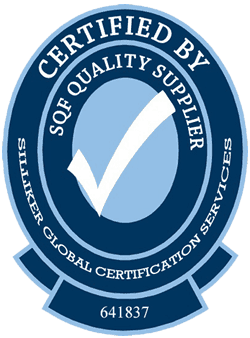 The EXP DATE is used as a guideline for our products best quality. 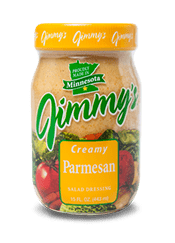 Where are the EXP DATES located? 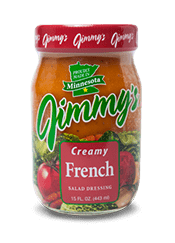 Dressing EXP DATES are on the top of the lid. 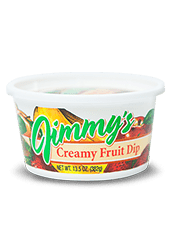 Dip EXP DATES are printed on the side of the tub near the lid. 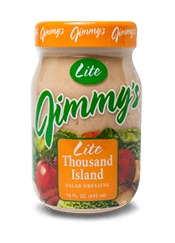 Jimmy’s Dressings and Dips do not use peanut or tree nuts as an ingredient in any of their products and is a nut free facility. 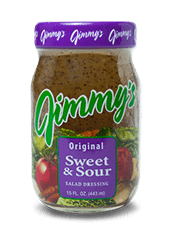 Jimmy’s is a Level 3 SQF certified facility. 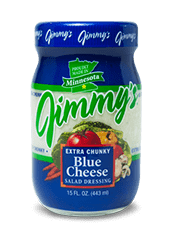 Can I buy Jimmy’s Dressings and Dips in gallons? 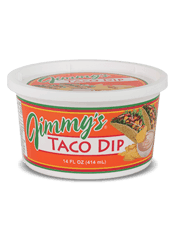 Yes, Jimmy’s Dressings and Dips are available in gallon and 2/1 gallon sizes. 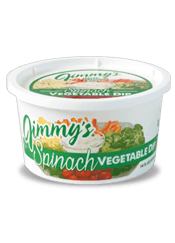 Is Jimmy’s available institutionally for food service organizations? 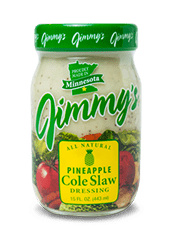 Yes, Jimmy’s can be purchased through food service companies such as: Sysco, Upper Lakes Foods, L & L, Potato King and more. 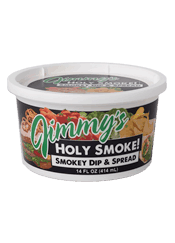 Is Holy Smoke! 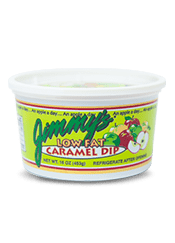 Dip hot? Holy Smoke! 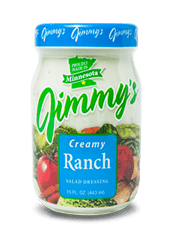 Dip has a smokey, creamy ranch flavor. It is not hot.